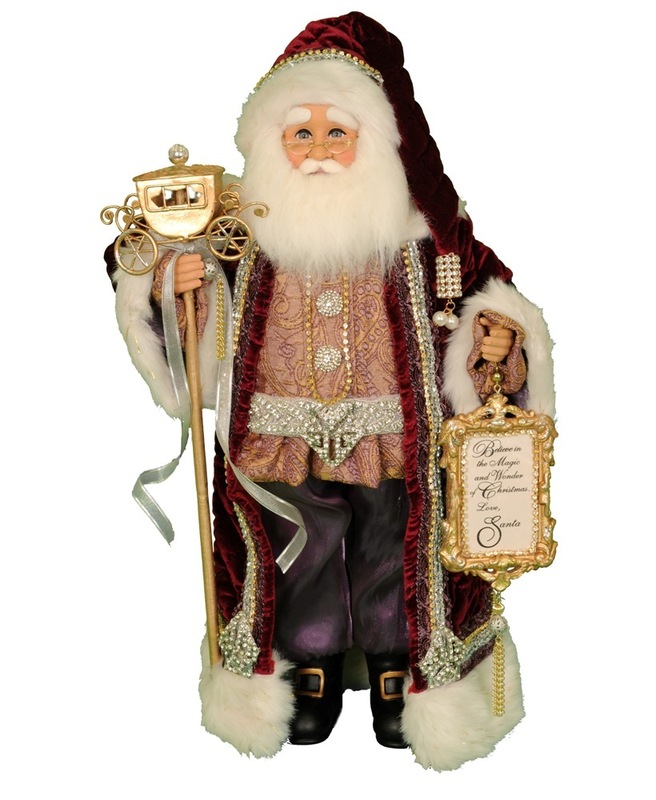 Karen Didion's Majectic design features Santa holding a gold carriage staff and charming sign with luxurious accents. All Karen Didion Santa figurines have hand-painted resin faces and hands with inset glass eyes and real mohair beards. The exquisite and unique fabrics are used to make Santa's outfit. The body structure for Karen Didion Santas are fiberglass and weighted to be free-standing. The decorative accessories are unique, many are created expressly to fit the style and theme on each Karen Didion Santa figurine. All of the attention given to the details make this collectible Santa special to give as a gift or collect all year long.